Easter is almost upon us! I’ve always been a fan of themed activities and decorations for my classroom, and this is yet another amazingly fun holiday to get creative with! Are you ready for some Easter inspiration? We have an amazing collection of Easter resources for you to share with your class. 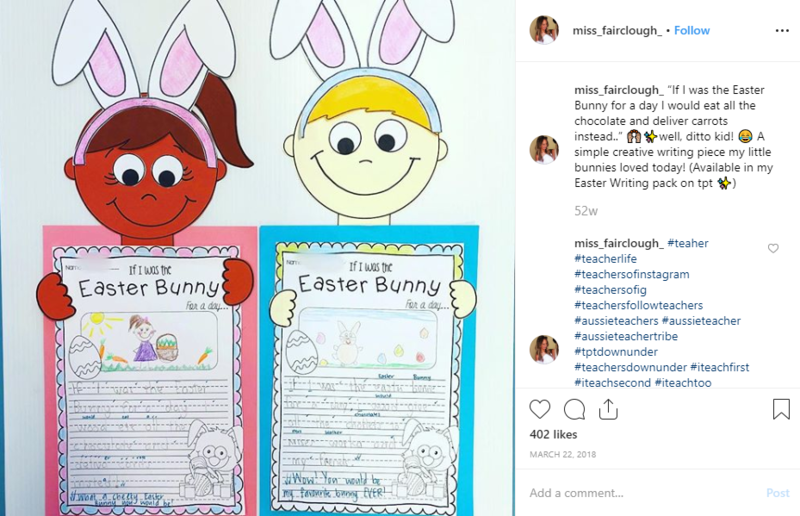 So play a Free Download: Funny Bunny Easter Game, and get your classroom ready with our Easter Decorations and Free Download: Easter Egg Decorations! 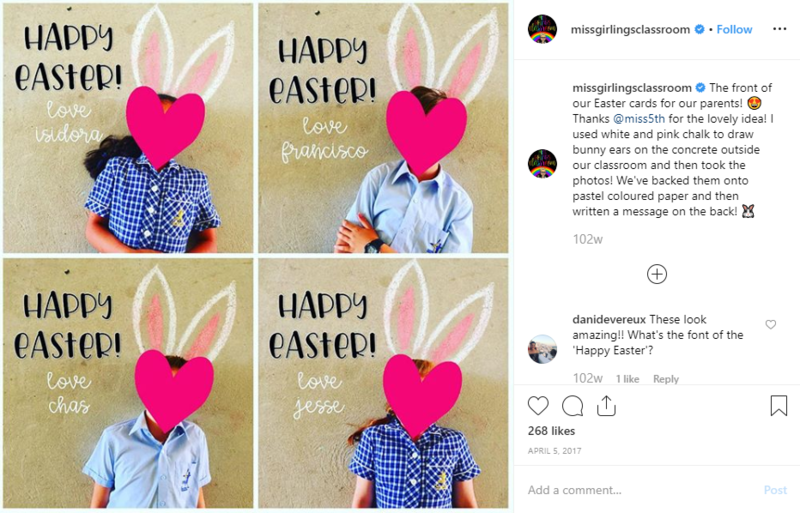 For those looking for a few more ideas, I thought I’d hit the ‘gram and bring you all the Insta-Easter inspiration your little bunny heart’s desire! 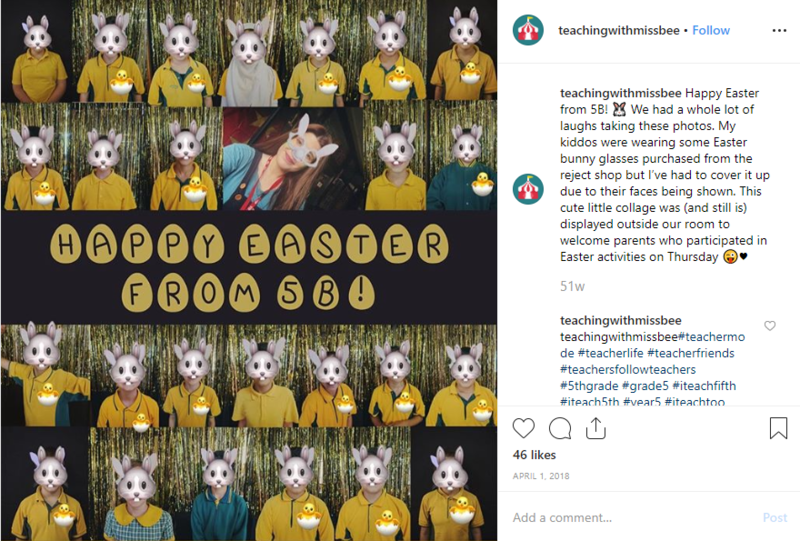 Get your class excited for Easter with a photoshoot like @teachingwithmissbee! Put up an eye-catching backdrop, and use masks (or emojis post-production!) to bunny-up your students. Why not cut out the head of our Easter Bunny Decoration for a quick make-shift mask? 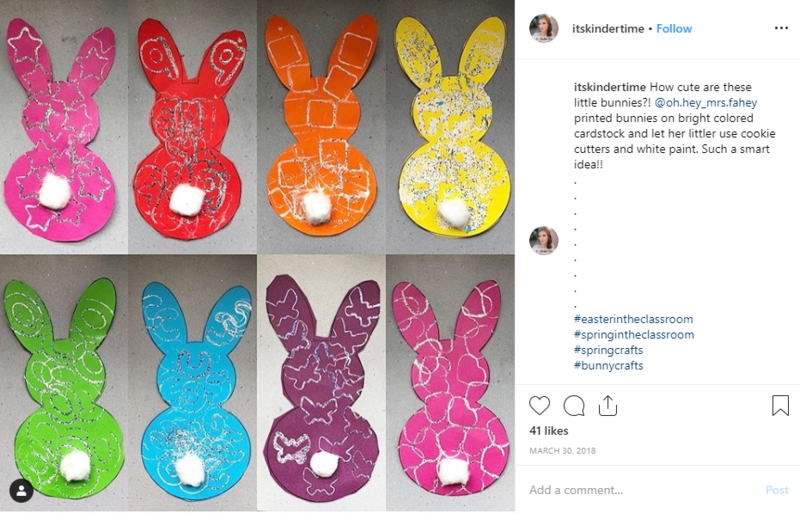 If you haven’t checked out our Free Download: Funky Easter Bunny Craft Template, Free Download: Funky Bilby Craft Template and Free Download: Funky Easter Egg Craft Template yet then you don’t know what you’re missing out on! Don’t believe me? Just ask @mrsmunchsmunchkins. Easter doesn’t just have to be about decorations and craft. 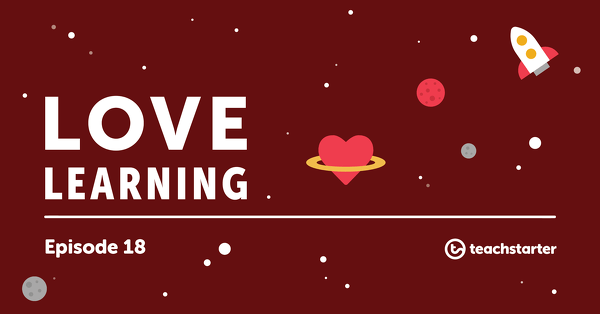 Use it as inspiration for some opinion writing like @missleesteachingadventures has! For some more Easter inspired writing, check out the Easter Diary Writing Activity and ask your students to think about what life would be like as a chick inside an egg! How cute are these Funky Easter Bunny inspired bags by @coffeeandclipart and their students?! An alternative to the Free Download: Easter Basket Craft Activity that’s just as environmentally friendly! Perfect for an Easter egg hunt… or just carrying anything, really! @missgirlingsclassroom certainly knows how to make an impact with minimal effort! Your class parents will love these amazing chalk art Easter cards… almost as much as your students will love making them! If you don’t have chalk and pavement at the ready, our Easter Bunny Craft Activity provides a similar twist! 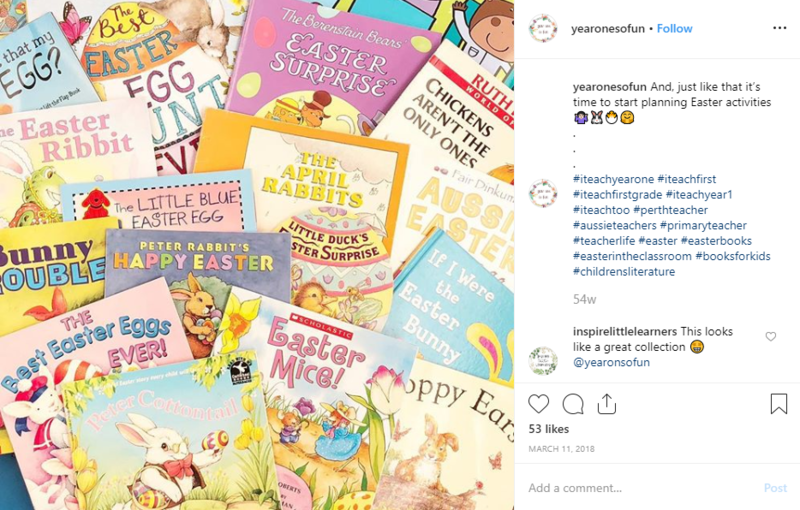 Maybe you should read your class an Easter inspired storybook? 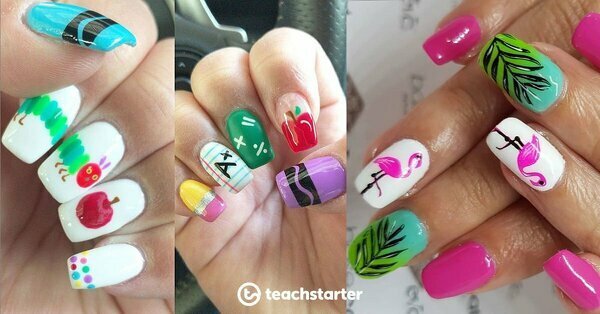 @yearonesofun has so many, I don’t know how her class will choose! @itskindertime knows how it’s done! 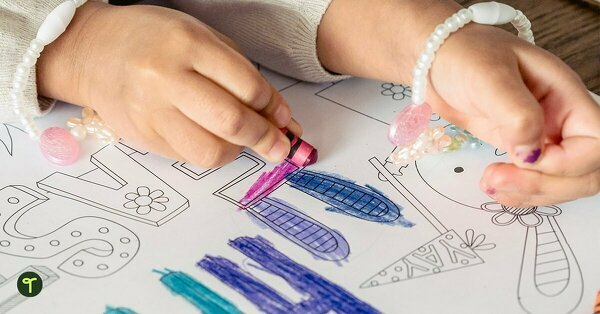 Here’s a simple yet effective craft activity that will certainly get your students in the Easter spirit. Firstly, print a bunny template on colored card. Cut it out and get your students to decorate with paint and glitter. Finally, stick on the cute cotton tail! 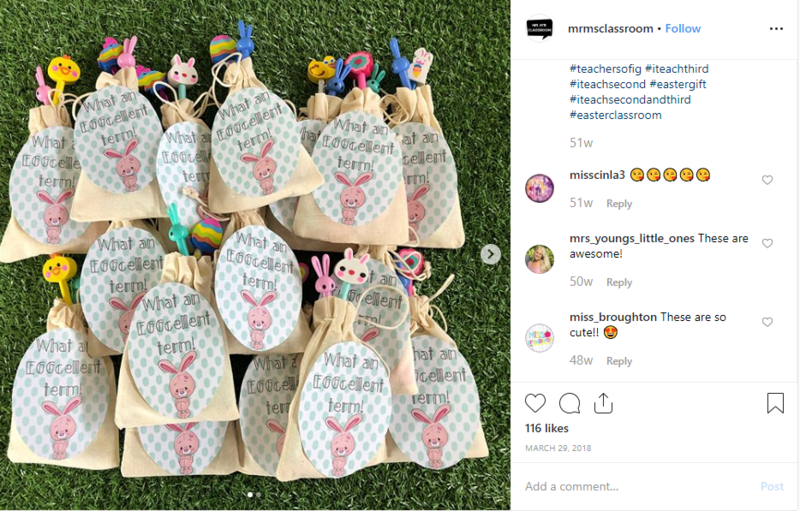 If your particularly well-deserving students are lucky enough to receive an Easter gift from the school Easter Bunny, @mrmsclassroom has the perfect tagline! Also, don’t you agree that Easter-themed pencils and rubbers make a much better present than chocolate? No sugar, just useful stationery! The wonderful thing about Easter eggs is they can be so beautifully unique! 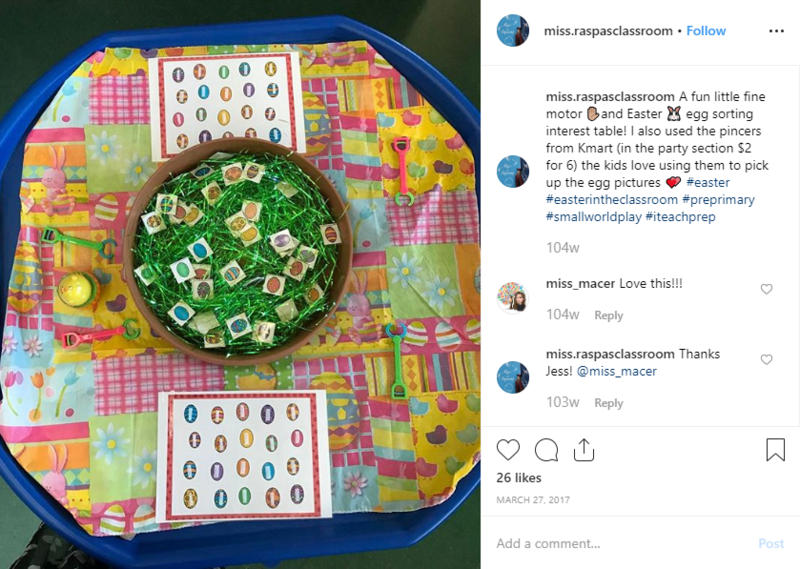 Create an Easter egg match-up game like @miss.raspasclassroom. Have you ever seen such colorful Easter cards? Try these easy-to-make Easter egg-themed cards, as shown by @smartieeepants. If you’d rather something a little more traditional, our Free Download: ‘Happy Easter’ Cards may be just the thing! Here’s one for the older students! 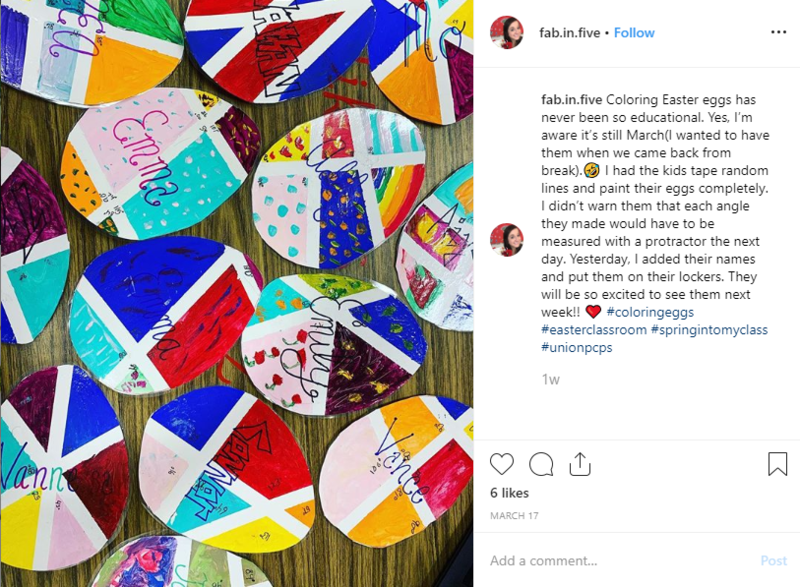 @fab.in.five created a colorful mathematics activity with her class using tape and paint. Some more Easter writing might be the ticket! 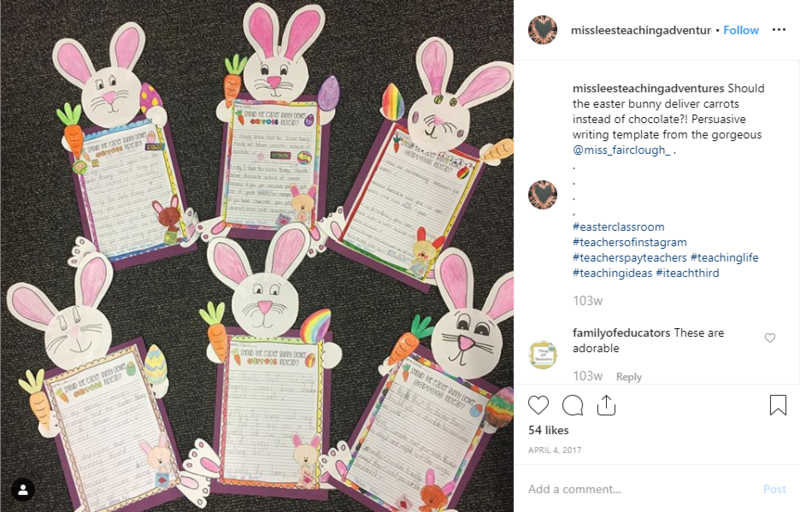 @miss_fairclough_ has come through again, this time with some creative writing Easter inspiration. Invite your students to play with this Easter egg sensory table! @invitation_to_play and her students will have bucket-loads of fun with this fine-motor building tray activity. 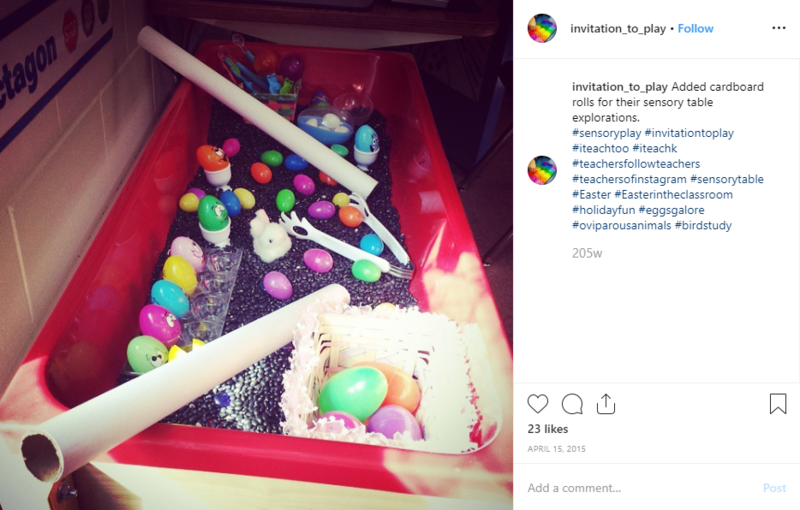 For more ideas on using a tray in the classroom, don’t forget to read Holly’s blog Sensory Play Ideas | Using Tray Activities in the Early Years. I can’t wait to see all the insta-Easter inspiration as we draw closer to Easter weekend! 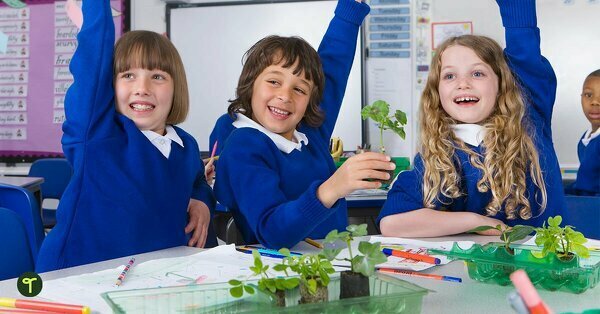 Are you celebrating Easter in your classroom? Tag us @teachstarter to share your wonderful ideas!